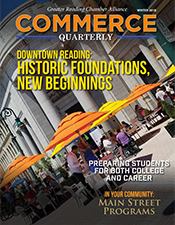 A comprehensive business and community resource, the Greater Reading Chamber of Commerce and Industry is the 'go to first' organization in Greater Reading. Using our legislative 'clout' and leveraging our member base, we advocate for and have impact on, the needs and interests of our community. 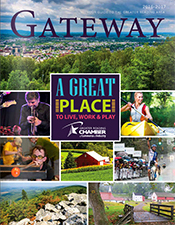 The Greater Reading Chamber of Commerce and Industry is an indispensable part of our community and a valued resource to our members. Because of the direct services we provide to members and the impact we have on our community's transformation, businesses express a sense of pride in being a member of our organization.